How can Turtle make his sad feeling go away? Turtle has a sad feeling that won’t go away. Squirrel is happily gathering nuts, Bee is buzzing from flower to flower, and Rabbit is hopping around the carrot patch, but it doesn’t matter: Turtle just can’t shake his sad feeling! Even at his dad’s birthday celebration, Turtle is still feeling glum. What will it take to make Turtle feel right again? This sweet story about a turtle who just wants to be happy will resonate with all children who have experienced one of those sad-and-not-sure-why days. 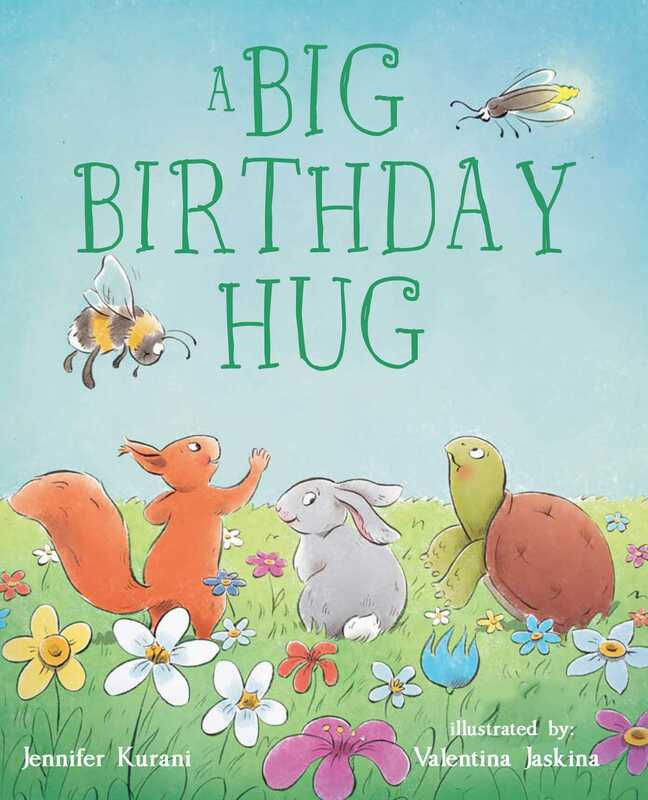 With a gentle, reassuring message—sometimes you just need a hug!—A Big Birthday Hug is a great read-aloud book perfect for sharing with loved ones. The rhythmic text is simple but evocative, and Valentina Jaskina’s bright, lively illustrations bring the story to life. Jennifer Kurani was born and raised in New York, and spent her childhood always using her imagination. As an adult, she worked at Scholastic in children's publishing, edited creative writing essays, and developed web content for parents and students. She lives in New York City with her husband and two loving children, and believes in spreading the love. Valentina Jaskina always wanted to be an artist. As a child, Valentina drew "masterpieces" on the walls of her parent’ s house. She always wanted to illustrate books or draw cartoons. She studied at the Children's Art School, and then studied classical drawing, painting and graphic design at Novosibirsk Art College. She draws inspiration from the world of children and teens, and prefers to use a mixed technique, including a blend of ink or pencil plus digital graphics. Valentina resides in Russia.